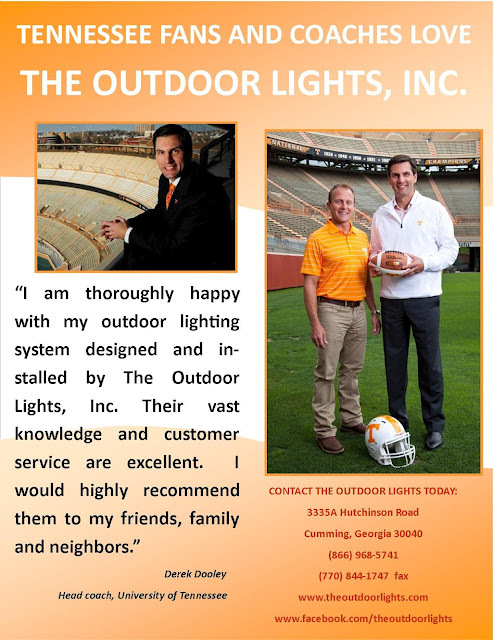 The Outdoor Lights: Derek Dooley loves The Outdoor Lights! Check out our new promotional flyer from Derek Dooley, Head Coach of the University of Tennessee! Derek is the son of former University of Georgia Head Coach, Vince Dooley. Both father and son have now done promotional pieces expressing their satisfaction with their outdoor lighting systems installed by The Outdoor Lights, Inc. We wish to publicly thank Derek for his promotion and are delighted we had the opportunity to work with him.